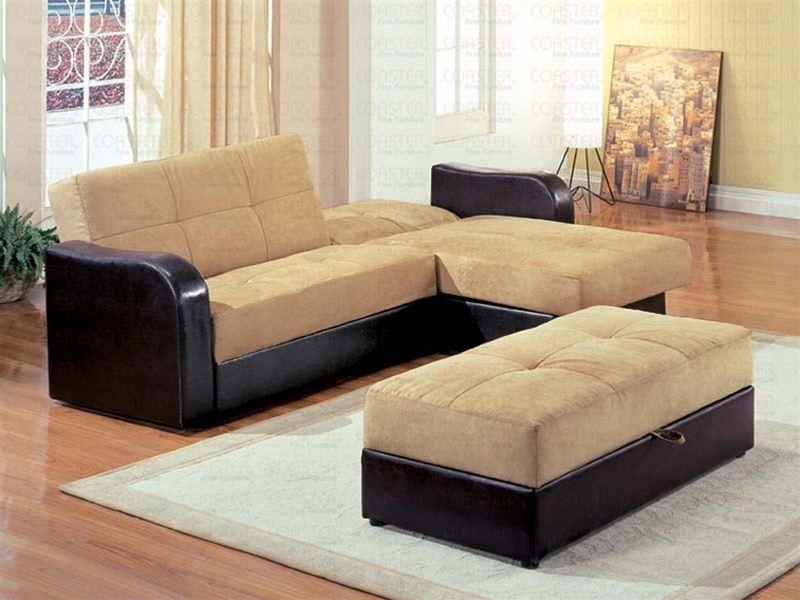 This two piece sectional is functional and stylish. It acts as a love seat or comfortable lounge chair to relax on. Pieces together to form a comfortable bed. Available in brown vinyl and tan microfiber. We offer Shipping on most of the products. The product will be kept in its original packaging, and there is no assembly provided with this service. The shipping company will call you in advance to schedule a delivery appointment window, and you must be at home to receive the order. Please note that deliveries cannot be made to a PO Box. If your order will need to be carried up steps, or you require longer assembly or setup time, for an extra fee you can upgrade shipping to Platinum White Glove Delivery with customer representative. With Platinum White Glove Delivery, your items will be placed in the room of your choice, unpacked, assembled (if necessary, up to 30 mins) and packing will be disposed. All smaller items such as tables, ottomans, recliners that qualify for regular shipping are delivered using FedEx Ground/Home Delivery Delivery is not available to Puerto Rico, Alaska or Hawaii.